Portrait Painting from Life: An abstract approach to a detailed portrait. Seth is an award-winning, contemporary, figurative painter. In this workshop we will concentrate on representing a likeness through large shapes. By making large shapes progressively smaller, students will begin placing simplified versions of the features, big shapes, until they have a fully developed, portrait. The color palette will remain limited and students will see how to achieve many different "flesh" colors with very few colors on the palette. In addition, cloth, backgrounds, and finishing paintings will be addressed and demonstrated. Seth will discuss how this leads directly into a multiple layered studio portrait. Seth will also discuss the similarity between painting from life and from photographs. Seth has been drawing since forever. Even in his early school days Seth turned upon his desire to draw. One instance of note was a 5th grade science fair in which Seth turned in detailed drawings of hawks instead of a more typical (and acceptable) project. He continued with his art and graduated with a Bachelor in Fine Arts from Carson Newman College after a year each at Cleveland Institute of Art and Memphis College of Art. In 2005 he studied with internationally known artist Nelson Shanks at Studio lncamminati. Upon leaving lncamminati he moved to northern Virginia where he could focus on both studying painting and his career. Living in the Washington DC area enabled Seth to have a number of one-man shows as well as study with renowned artist Robert Liberace. Along with interesting and unique still-life paintings Seth has done many commissioned portraits, but his chief subject and love is his wife and children. They always take him to new heights of creativity and beauty. 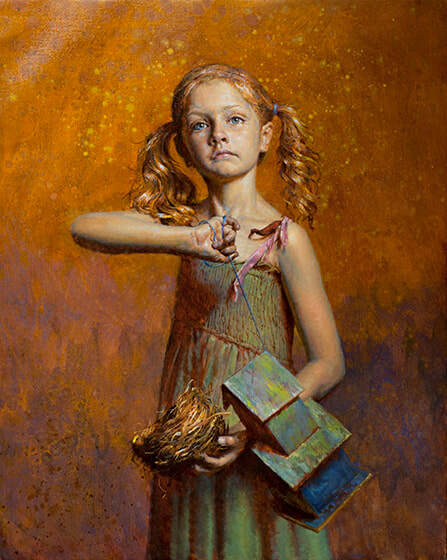 It was a portrait of his daughter Echo that earned him Best in Show in the 2008 Portrait Society of America’s International Portrait competition. Other honors include a Certificate of Excellence in the 2011 show. Also in 2011, he was a finalist in the Art Renewal Centers International Competition. Recently, Seth won “Peoples Choice Award” in the 2013 Portrait Society of America’s International Portrait Competition for a painting of his daughter Essie as well as “Top Honors” in the same competition in 2013 and 2014. Seth was also a finalist and received an award form the 2013 ARC international painting competition in the portraits category. Seth enjoys realism. He loves color and form and the drama of light and dark. As Seth says, "The meaning? It is found in beauty. At the moment, that's enough.